On Friday, I fortunate enough to have the opportunity to lead my very own choir. Not just any choir, but choir made up of persons with Parkinson's Disease (PPD). This is a population close to my heart since my Master's thesis was analyzing data collected from PPD undergoing a Voice Choral Singing Treatment program (if you want to learn more, I'll refer you back to this post for more information). Even though I was petrified at the prospect of leading a rehearsal, I didn't delay in providing my consent to substitute for Merrill, their resident conductor and speech pathologist. The first thing that I needed to do, in order to mentally prepare for the session, was acknowledge the fact that I am not a conductor. Therefore, I decided to structure my style more like a vocal coaching session. I tried to experiment with some of the techniques which I appreciate when I am under the leadership of a conductor. I attempted to learn the names of my 12 choristers and use them throughout the rehearsal when I was providing positive feedback. I provided a ton of vocal models to illustrate what I wanted. I demanded more from my choristers each time when I could hear they were responsive to my instructions. Even when I felt like they gave me what I wanted, I would ask for more to see if they could do it. I often interrupted them when they did something wrong and made them do it again. Maybe these weren't characteristics that everybody appreciated, but since I had no style, it was important for me to experiment and figure out what my style might be. In preparation for the rehearsal, I began by brainstorming all my favorite vocal warm-ups. Then I went through each exercise, thought about the rationale for each of them, and eliminated any redundant exercises. As well, I looked through Merrill's old lesson plans and decided to include some familiar elements but incorporate my own as well. I grouped my exercises by target area: resonant voice, respiratory support, vocal flexibility, speech articulation etc. A major symptom of Parkinson's is muscular rigidity. That includes rigidity of the diaphragmatic muscles all the way to muscles needed for facial expression. I wanted to choose exercises which would be most beneficial for PPD. Something that I did find challenging was working with a pianist. I am not used to giving instructions to a pianist. I also wasn't used to cueing the pianist to stop playing when I wanted to re-run something immediately or finish off the last run of a vocal exercise. I'm guessing it probably didn't help that the pianist's back was towards me (mental note: fix positioning). Another thing that was challenge was that I couldn't hear my choristers very well. It was because I did something that's not the preferred norm for a conductor, and that was that I was singing while my choristers were singing. It's a tough balance because PPD need a high amount of vocal models. There are studies confirming that there's a change in their perception abilities in themselves as well as others, therefore, all modeling needs to be plentiful and exaggerated. However, next time (if there is one) I would need to find a better balance in providing voice models but allowing opportunities for independent production. Only then can I actually hear what they are doing. One of the most important roles that a conductor plays during a rehearsal is listening. I definitely didn't do a great job of that. This is probably where actual conducting skills would help me because I would be able to visually cue this instead of relying tandem vocal models to achieve my aural vision. Furthermore, it's vocally tiring to be working that hard in a session, which definitely isn't a viable option if I were to pursue more work like this in the future. My conducting experience aside, the feedback I got from the session seemed positive. At least, the comments to my face were :) Comments spanned from compliments about my outfit to my energy and enthusiasm as I tried to engage them while moving throughout the rehearsal space. One of the choristers asked me if I would record all my voice warm-ups and upload them to Youtube so that he would be able to practice. Perhaps I can be as cool as Ken Tamplin? 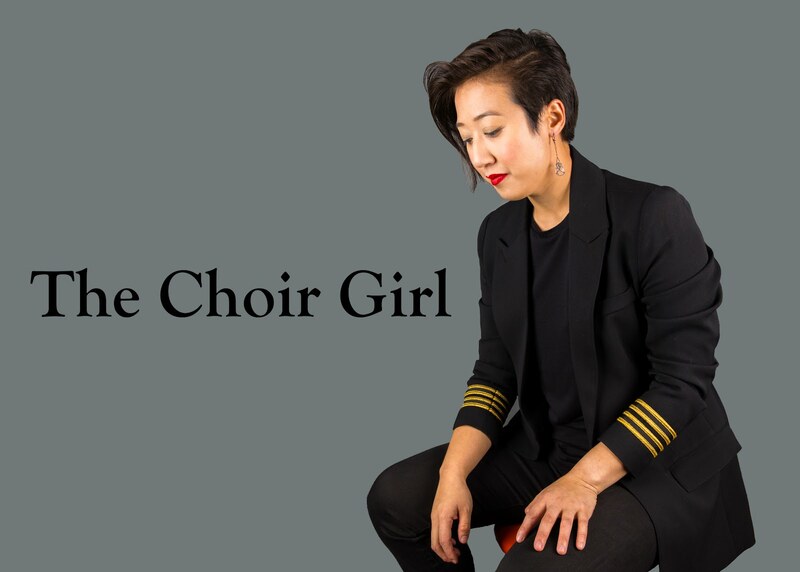 I'm just thankful for this opportunity since the Parkinson's choir session allowed me to geek-out pretty hard in terms of merging my choral and speech interests. Also, since I just received my SLP license on Tuesday, my session with the Parkinson's choir was my inaugural debut as an official Speech Pathologist. I think that's a very good sign for things to come.